We are one of the reputed organization engaged in providing superior quality Water Nozzles. 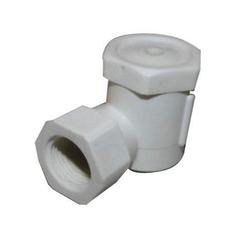 These Water Nozzles are good demand in the market due to high quality and unique features. These products are available in market at competitive rates. Thread Size: 1.5" TO 2.5"
We are one of the leading traders, wholesalers and suppliers of high quality range of fountains Water Film Nozzle. This product range includes water level independent, water level dependent and spray ring with the patterns like bronze, brass, aluminum and polymers. - Simple installation and easy cleaning of the nozzles. 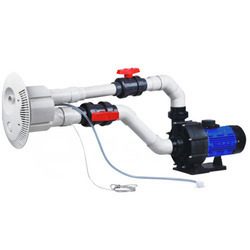 VERYCLEAN FLUSHING MACHINE IS HIGH PRESSURE WATER FLUSHING EQUIPMENT USED FOR AEROPLANE JET ENGINE FUEL NOZZLES FLUSHING ABOVE PRESET 5 KG/CM.SQ. OPENING PRESSURE. FLUSHING UNIT IS USEFUL FOR TESTING AND CALIBRATING NOZZLES AFTER USAGE. JET ENGINE NOZZLES ARE FLUSHED BEFORE AND AFTER ULTRASONIC CLEANING. Cast bronze and brass construction with adjustable top cone. • Bottom of nozzle must be installed at water level. • Water supply must be non-trouble.